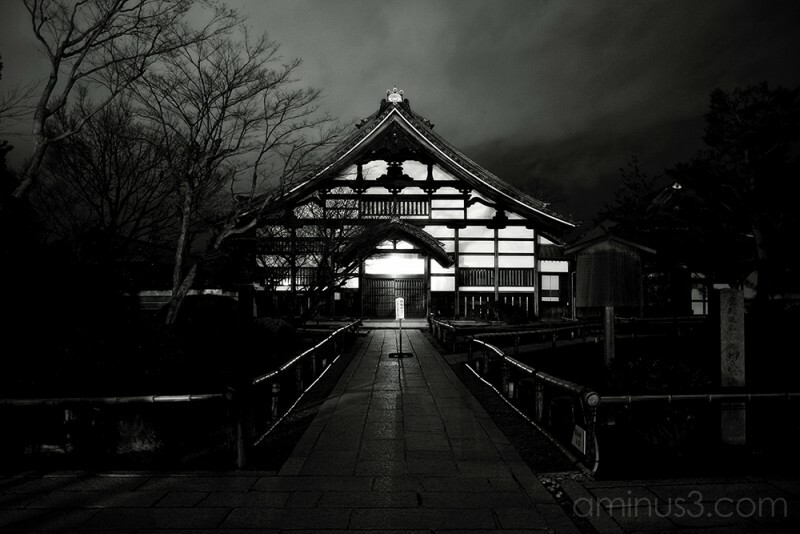 Stu (From Scotland | Working in Kyoto, Japan) on 1 April 2008 in Miscellaneous and Portfolio. Wow! I've said this before, but I think you excel at night shots. This in b&w is really striking. I love the mix of darks and lights, and the strong framing you've given this. I like how the trees start sloping downward to the roof, the roof downward to the sign, the sign to the post -- beautiful diagonal line there. This would look lovely hung on the wall. Keep the b&w coming. I'm really enjoying this. thats a fantastic shot.just the right exposure. really like this shot. not entirely sure how to explain it, but i love how you captured the building. also like the atmosphere. Picasso was blue for years. Ahem. Short form of what GJC said: FABulous depth to this and the b/w is perfect. I really dig your night shots.